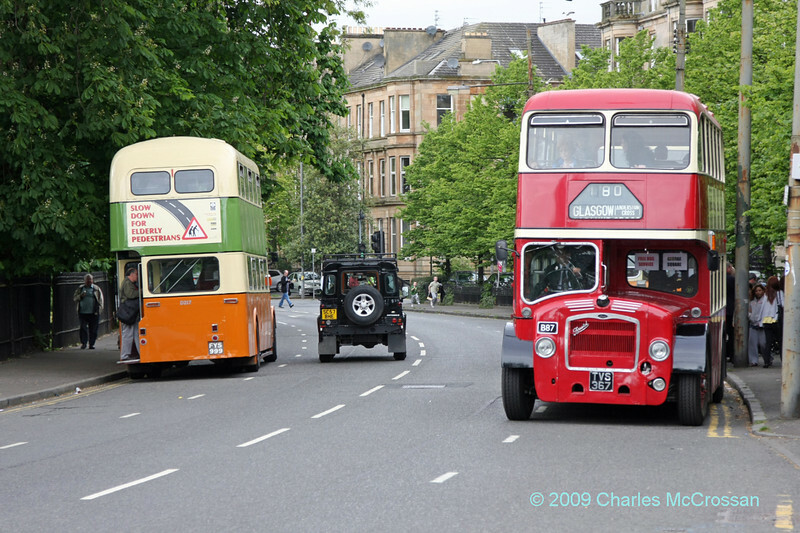 During the Southside Festival over the weekend of 23/24 May, 2009 the Glasgow Vintage Vehicle Trust operated some of their vehicles on two routes to Queens Park. One from the City Centre and one through Pollokshields. These photos show a few of the buses used on the services.